If you asked a person to give their opinion of what they thought Alaska would be like, they would probably use words like…. cold, snowy, dark, isolated, Eskimos, and maybe even uninhabited. So, if this is true, then why would anyone want to visit, let alone ride a motorcycle to these extremes? The answer to this may amaze you! Although, Alaska can be many of the above, it’s far from the preconceived perceptions of most. 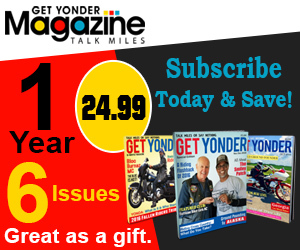 In fact, in recent years, it’s popularity has increased dramatically among distant riders and motorcycle enthusiasts. 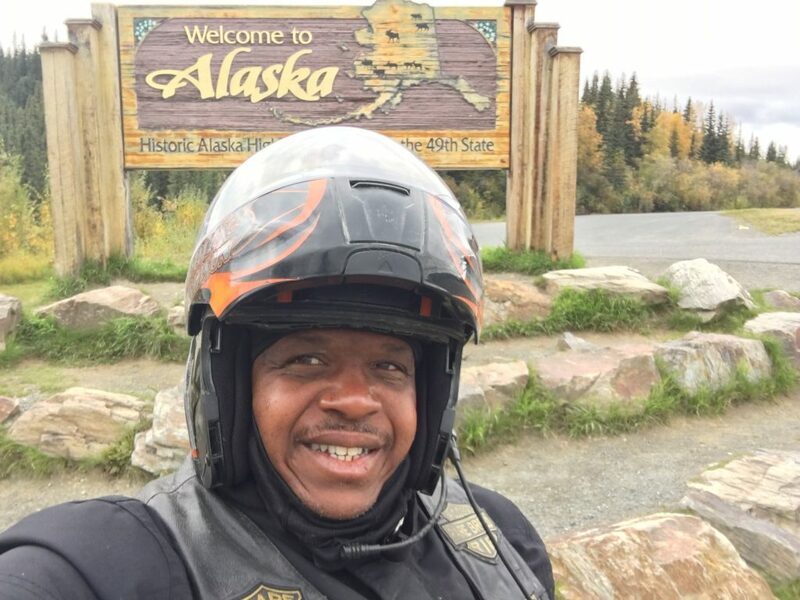 We had the pleasure of interviewing two men, whom have bravely traveled, via motorcycle, to Alaska, and what they experienced was anything but isolated. Dan Larson (accompanied by his friend Mark Cox) and Paul “PJ” Jackson, traveled to Alaska and saw first-hand, the breathtaking beauty of the state. 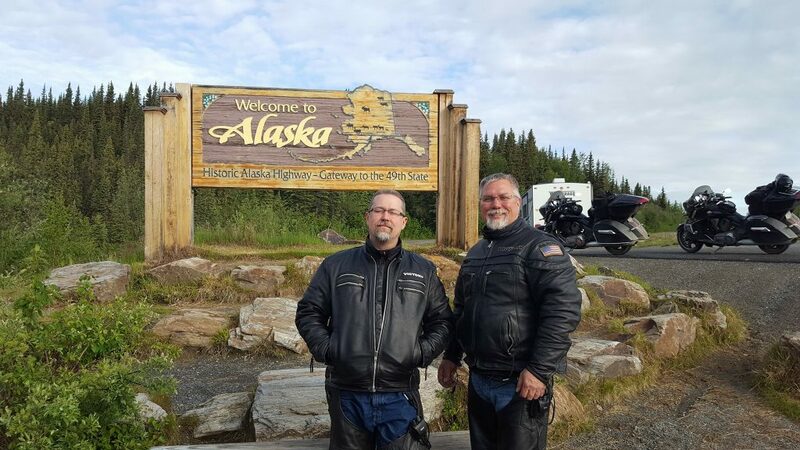 Both, Dan and Mark, whom are avid riders, rode Victory Cross Country motorcycles for their trip. 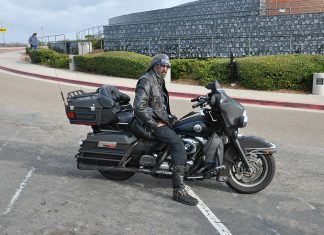 Paul mode of transportation would be his 2014 Harley Davidson Street Glide. The men motivation behind taking the trip would differ of course, however, they both enjoyed the beautiful scenery of the mountains and lakes. They also both mention the beauty of the wildlife and their experiences with seeing the animals. 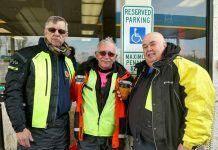 For Dan and Mark, this would be their second time taking the trip, as they took the same route 3 years prior. For Paul, it would be his first, but has expressed that it definitely will not be his last. Though the men all experienced rigid temperatures and multiple days of rain, there was no snow, which they were grateful for. 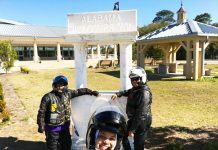 They were properly prepared, as they all had heated riding gear and expressed the importance of having it on their trips. 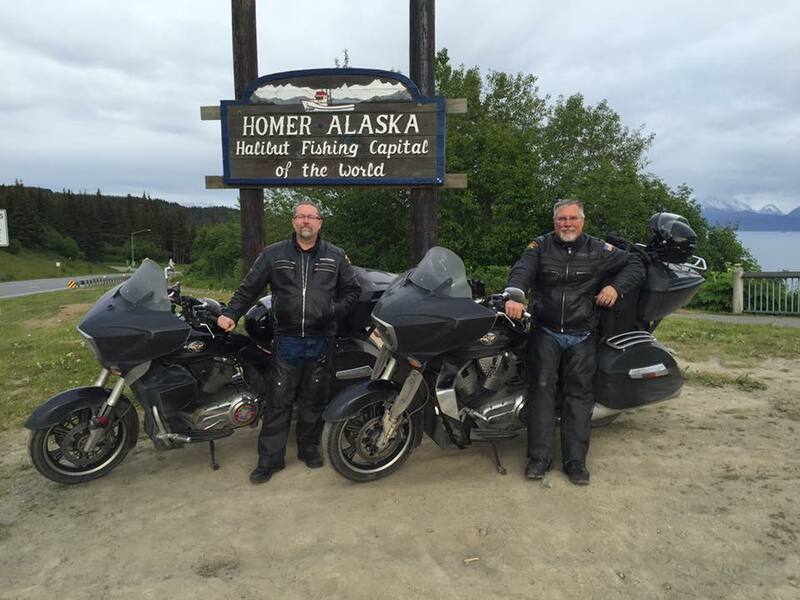 A: The official ride was from Lubec, Maine (eastern most point in the US) to Homer, Alaska. The ride was dubbed the Victory Seafood 5000 (total trip is about 4,900 miles). The trip started on May 27th from Minneapolis. 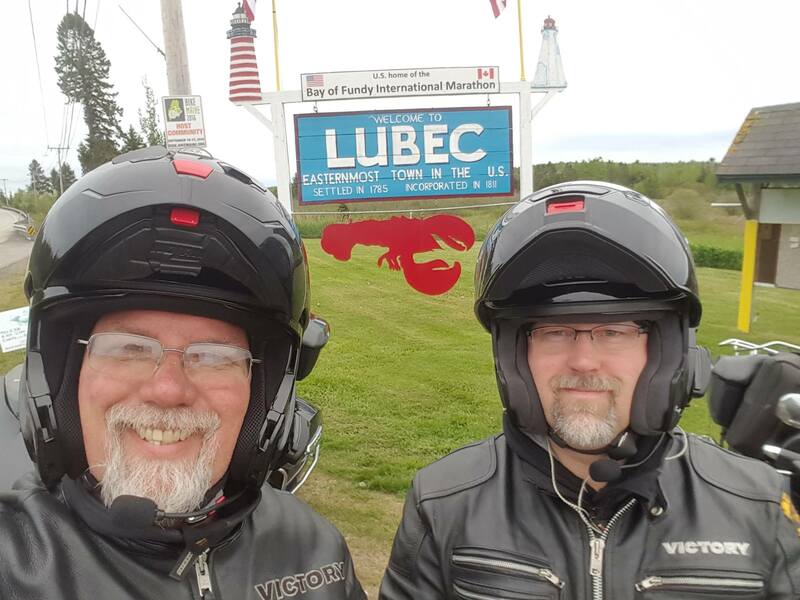 We rode a Bun Burner (1500 miles in 36 hours or less) to Lubec. We then started the Seafood 5000 on Memorial Day and finished it 5.5 days later in Homer. We were back at home in Minneapolis on April 11th. Q: What motivated you to do the trip? How was it planned? 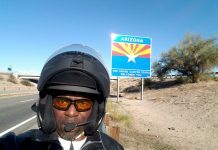 A: We had previously done the IBA 49 states in a 10 day ride and really wanted a ride just as epic. Browsing through the finishers list on the IBA website, we saw that no one had done the East/West insanity ride. We modified the ride to include having a lobster dinner in Lubec and having a crab dinner in Homer, Alaska. Q: Where there any unexpected events that stand out? A: The owner of the Water Street Tavern in Lubec, Maine took time out of his day to give us the history behind the tavern. Also Country Side Motorsports in Grand Prairie followed our ride on Facebook and rolled out the red carpet when we stopped there for maintenance on our Victory motorcycles. Q: What were some of the most memorable events of the trip? A: In the Yukon we encountered about 200 miles of gravel and there were 15 days of rain out of 16 days of total trip time. Also, on the second day, my heated gear failed. So, due to the frigid temperatures, we had to stop about 60 miles early. I (Dan) had to modify the electrical connections to fix the issue. Q: Where and when did you officially start your trip? 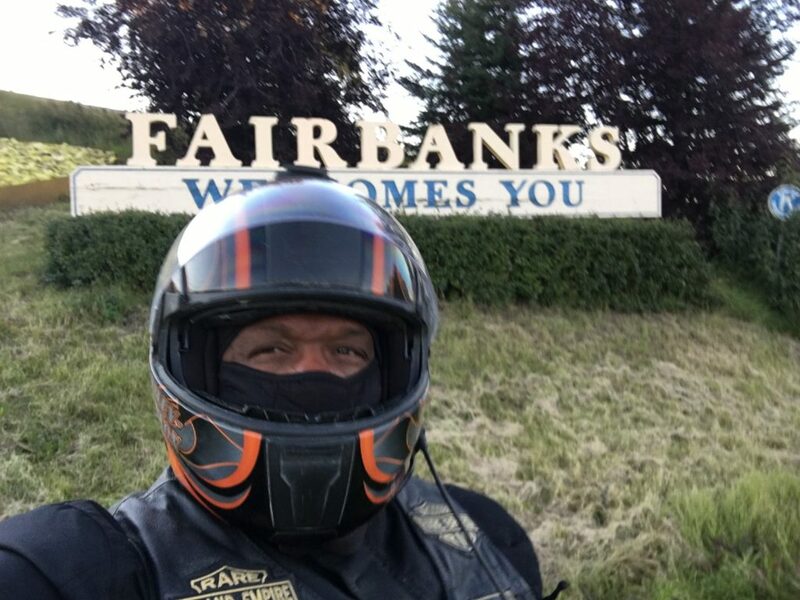 A: The official ride was from Ontario, California to Fairbanks, Alaska and back. 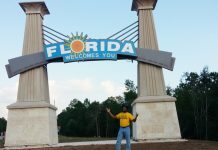 I left on September 5th and returned on September 13th, 2016.There were 8,000 total miles. Q: What was your motivation to do the trip? How did you go about planning the trip and route you would take? 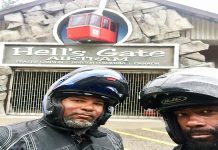 A: After seeing how Shareef “Reef” AsSadiq and Hugh Smith “Smiley” were pounding the pavement, it motivated me to do a ride that was difficult and challenging. Smiley showed me a picture of him in Alaska and I knew I had to go. Reef rides hard and the two of them is my motivation to keep riding. 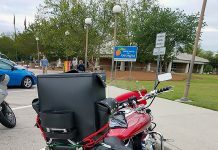 I planned my trip using the Harley Davidson Ride Planner and verified the trip and miles with Spotwalla, which is a tracking app. Q: Were there any unexpected events that stand out? A: The amount of unfinished roads that I had to pilot over. During most of the unpaved roads I had to reduce the speed to about 5-10 mph and had to look down to ensure I didn’t ride off the road. At one point, I looked up and there was a buffalo within 10 ft of me eating and kicking up dirt. It shocked the hell out of me! Q: What items did you take as necessities to complete your trip? What were the weather conditions like? 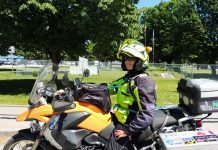 A: On the trip, I took my Harley Davidson heated gear (pants, jacket, gloves), fuel additives (octane boost), and an insurance rider policy, to make sure I was covered while riding in Canada. The temperatures were mostly in the 20’s with a few days of highs in the 40’s. There was plenty of rain but no snow.